​Στο σπìτι (Sto spiti) means At home. At home because nature in the Mani is truly special. It’s a wild and powerful land that puts us in touch with our roots. At home because the hospitality of these extraordinary people, the Maniots, with their ancient roots, is made of authentic gestures, warm welcomes and wholesome food. At home because all of us Europeans can trace our roots to this land of ancient splendour. ​At home because life here is simple, practical and essential, allowing guests to put aside their worries, listen to the silence and find themselves… happy. 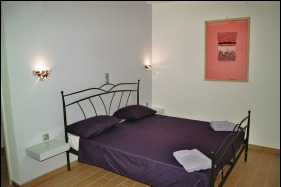 Sto spiti has three rooms, each with ensuite bathroom, independent entrance and terrace with pergola, table and chairs. ​The simple and practical furnishings are inspired on three different colours: orange, cream and lavender. Each room has air conditioning, small fridge, television and free Wi-Fi connection. ​​Breakfast can be ordered daily from a special menu and served on the room’s terracea. 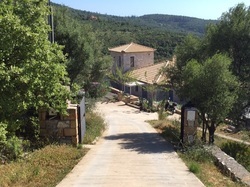 The house was completed, in the typical Maniot style (completely in stone), in the summer of 2011. The building was designed so that the house and the B&B, even though next to each other, enjoy a great deal of privacy. The ample vegetation around the building ensures that the rooms are always comfortable, even in the hottest season. Each terrace overlooks a spectacular panorama along the whole coast, from Trahila to Kardamili, with breath taking sunsets. 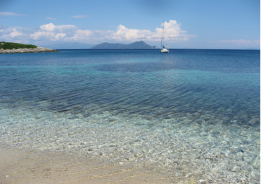 Sea lovers can try sailing in the Messenian Gulf and exploring the deserted coves and unspoilt beaches by rubber dinghy. For food lovers we can organise meals on request and cookery courses of one or more days. During the summer season we also organise yoga and traditional Greek dancing courses and walks to explore the hidden treasures of the surrounding villages.